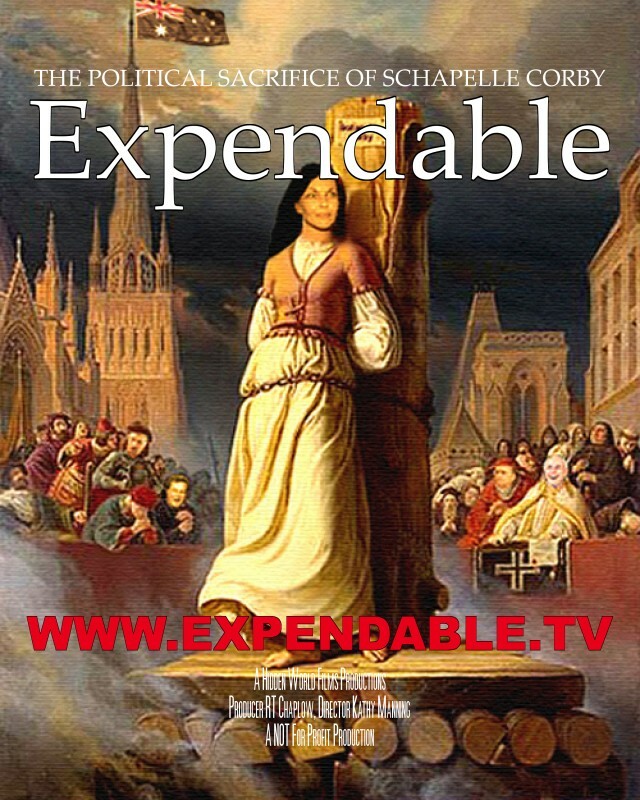 Expendable presents a disturbing but entirely true narrative; a political horror story which is still unfolding today. It exposes what happens when an individual's human rights conflict with both strategic and tactical political need. It reveals the ruthless use of a government's organs of state, and a regime of unprecedented opinion management, against a single working class woman and her desperate family. It presents, and demonstrates, the crushing, pre-meditated, and often brutal acts which a government is prepared to inflict upon a helpless citizen, in pursuit of political expediency. In 2004, a 27 year old Australian woman, Schapelle Corby, landed in Bali for a holiday, only to find 4.2 kg of Marijuana in her bag upon collection. A nightmare began which is scarcely believable. But her nightmare didn't end in Indonesia, with a show trial, a 20 year sentence in a third world prison, and the repeated abuses of her human rights. It only began there. Whilst Schapelle Corby deteriorated in a squalid cell, her own government clinically managed the political fallout of these shocking events, at her terrible expense. For the first time, this film exposes the reality of what has previously been hidden from the public. It exposes a government prepared to systematically crush one of its own citizens, to maintain international and domestic political stability. It exposes events which will both shock and appal. The full documentary will be released shortly. For updates and announcements, please follow the SchapelleGate Twitter Account. "You will be shocked. You will be enraged. You will weep. You will never see politicians in the same way again."